Ron McLean. Donovan Bailey. Michael “Pinball” Clemons. These are just some names of influential athletes and sports personalities whose legacies are forever enshrined in the Oakville Sports Hall of Fame. Stephen Blundy is now on that list. The long-time Sheridan hockey coach and athletic manager was inducted into the Oakville Sports Hall of Fame along with sportscaster Ron McLean on Feb. 26. 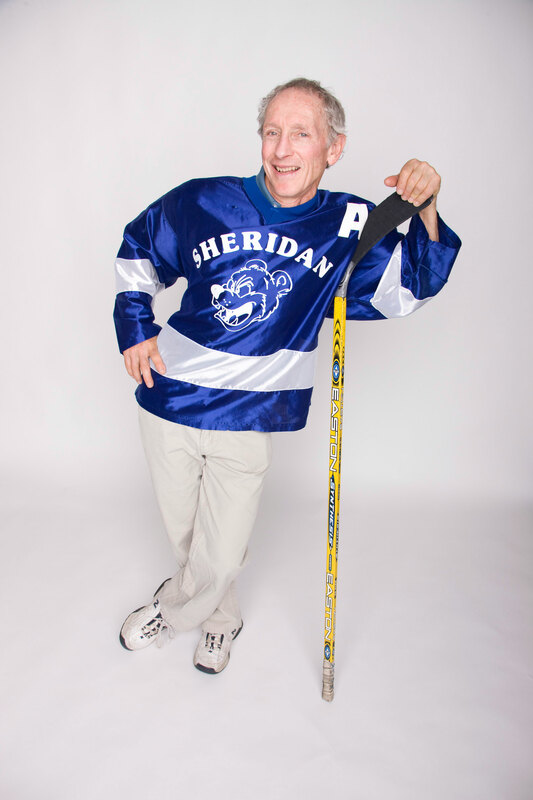 Blundy, who died just more than a year ago, was an important part of Sheridan, and the college had a big impact on his life as well. 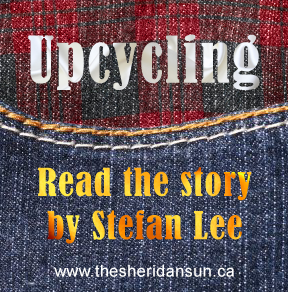 He was in the first graduating class, the first Athlete of the Year, a Sheridan Hall of Fame legacy inductee and an employee of Sheridan for almost 35 years. During his four-year hockey career, Blundy finished with 97 points — 43 goals and 54 assists in 47 games played. Blundy then coached men’s hockey from 1979 to 1984, and again from 1985 to 1992. He also coached the women’s team from 1976 to 1981. His overall coaching record for the Bruins was 128-84-6, according to the Ontario Colleges Athletic Association. Even when his hockey career was over, Blundy chose to come back and work for the college from 1972 until he retired in 2007. Blundy’s influence on Sheridan, either as a coach, an administrator or an athlete, helped secure his induction, said Wayne Hussey, chair of the Oakville Sports Hall of Fame. “When you have someone who’s a significant personality and has a good coaching reputation and has good credentials in the community, that doesn’t go unnoticed,” he said. Blundy was the first-ever inductee from Sheridan. Merritt Blundy Brunton, Blundy’s daughter, expressed joy over the news of her father’s induction. “To have Stephen Blundy’s name recognized in the Oakville Sports Hall of Fame is a blessing and an honour for our family because it helps to keep his story even that much more alive,” she said. Sheridan and its athletic department were very much involved in Blundy’s nomination, said Flack. Blundy’s impact also extends beyond athletics. Flack met Blundy 14 years ago when he first came to Sheridan as the athletic director. From the start, Blundy was supportive of Flack and helped him rebuild the athletic program. Blundy was not only his friend, but a mentor. One of Flack’s favourite memories was when Blundy put his mind at ease with the idea of raising his daughter – a prospect that initially scared Flack. “Steve just wrote me a little note and said that your life will never be better than it is when you have a daughter,” said Flack. From left, daughter Merritt Blundy Brunton, wife Pat, son Chad and Steve Blundy celebrate Chad’s wedding day. Other than hockey and family, faith was a very important part of Blundy’s life. He relied on his faith to guide him through challenges and to overcome disadvantages. “His faith allowed him to love people and love life fully, with all its ups and downs,” said Brunton. 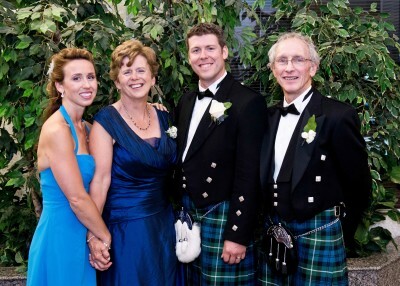 Brunton described her father as slight in stature but tough and mighty, an enthusiastic and passionate man who loved to entertain and make people laugh. But he was also a great listener and was keen to learn more about other people and better understand their needs. He also possessed a great work ethic and an unwavering dedication not only to his family, but also to his athletes and to Sheridan. Memories of Blundy are still alive and well in the hearts and minds of those who loved him. Blundy was inducted along with McLean, canoeing and kayaking Olympians Dean and Scott Oldershaw, and synchronized skater Fran McLellan. Visit the Oakville Sports Hall of Fame’s website for more information.